Our pets are members of our family, so it’s only right that they can join us on holidays and days out. It is now easier than ever to take your beloved pets with you, if you are holidaying in the United Kingdom or Ireland. Pets can even now travel freely within Europe, provided they meet entry and exit requirements (usually that they are microchipped, vaccinated against rabies and in possession of an up-to-date pet passport). Before making the decision to treat your pet to a breakaway from home, it’s important to consider if it will be something they will enjoy and if the holiday will suit them as much as it will your family. Some pets, such as cats and rabbits, have attachments to places, as well as people, and they may find staying in an unknown environment stressful or worrying. Some dogs on the other hand can find changes to environment a little easier to live with, providing they have their family and own possessions around them. 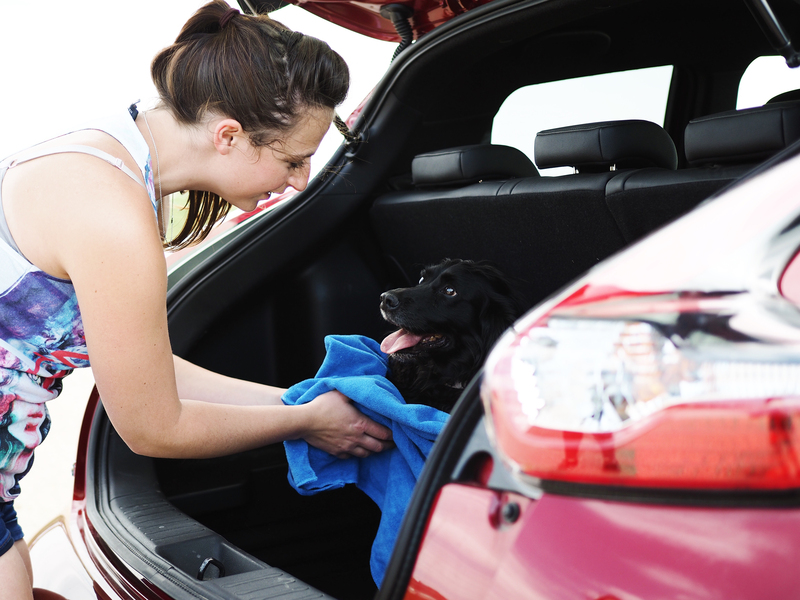 Before you book your holiday it’s important to prioritise your pet’s needs too, to ensure that travelling with you will be a safe and enjoyable experience for them and you. If the decision is an obvious one, then we have some top tips to consider before you fill up the car and get on the road! You should always ensure pets are allowed at your choice of location, be it a hotel, lodge, cottage or campsite, and follow this up with a phone call before booking, to ensure the pet policy you have seen is correct and current. You certainly don’t want to be disappointed on arrival. Before booking, consider your pets needs as well as your own – Do they need a secure area to exercise and let off steam? Are they well behaved around strangers or do they get over excited/stressed when around new people? Are they super hairy and likely to get wet and muddy when out walking (perhaps a good porch or wash down area will be needed)? The needs your pet has at home will still need to be met while on holiday. Choose a venue that causes minimum disruption to their routine. Locating pet friendly places to stay is just the beginning. You will also need to consider activities and visits while you are there. Before you go create an itinerary of places to visit and things you’d like to do. Research a selection of restaurants and cafés which will allow you to bring your four-legged friend. If there are places that your pet can’t enjoy with you, research pet sitting availability in the area to ensure they are catered for when you pop out without them. Travelling can stressful for pets. Planning ahead and making time to prepare is essential for your pet’s comfort and safety. It Is essential to use a vehicle appropriate product. This could be crate or carrier or a pet seat belt and harness. Let your pet spend time with the product at home before the holiday. Then practice taking them out in the car or on the train for short journeys, if this is something they would not normally do. Being in an unfamiliar environment can also create stress for your pet. Having a pet who is desensitised to the excitement of novel places and people can make for a much happier holiday! Regularly, have them meet and great new people and take them to new places wherever you can. Training your pet to understand simple commands will also be beneficial in a new and exciting place like a holiday destination. By teaching your pet to sit, stay and recall when asked you can reduce the stress for all by having trust that your pet will listen to and stay with you when out and about. (Check out our guide to Clicker Training for some hints and tips to get your started). We love Great&Smalls Training Treat Bag to take out and about so that your pets training can be picked up and practised while on the go (Product placement). Make sure you jot down all the important contact information you may need before you head off – this should include vets that will be local to where you are staying. Also be sure to take some essential pet products that will help keep your pet safe and stress free whilst away. We love the RenaSan First Aid Spray, it’s handy size and powerful antibacterial and healing properties makes it the number one product to never travel without. Going on holiday always involves the dreaded packing, but this time you also need to pack for your pet. Below we have listed some of the crucial items to pack in your pet’s suitcase. It’s a good idea to make your own list so that you can check it off as you go, to make sure nothing gets left behind that your furry friend might miss. This may not get packed in the bag, but it’s certainly a very important thing to consider. It’s a good idea to have an extra ID disc made up with your holiday address and contact telephone number just in case your dog becomes separated from you whilst you are away, check out our QuickTags. Be sure to check that your pet’s collar is a good fit and isn’t showing signs of wear and tear – Great&Small Collars and Harnesses are designed to be safe, durable and robust for everyday walking. Don’t forget to check your pet microchip details are up to date too! It’s always worth taking at least one spare lead on holiday with you just in case it gets mislaid or lost. 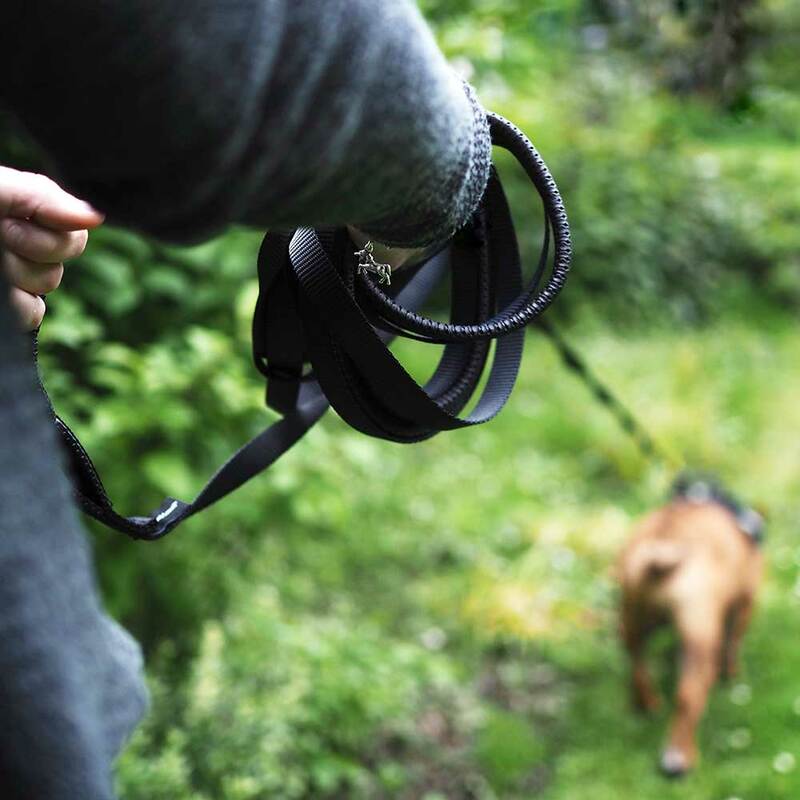 If you use an extendable lead normally at home, it will be worth taking along a normal length lead as well; many dog-friendly attractions will only welcome furry visitors on short leads. Another great product to make sure gets included is a long line lead. 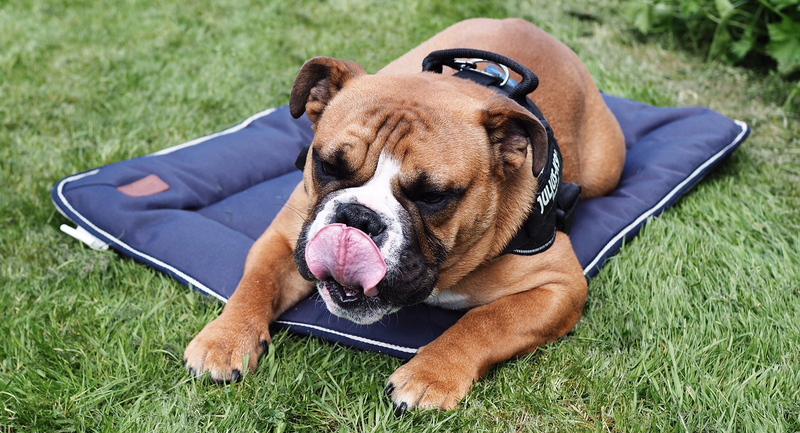 This can give your pet the freedom to roam whilst staying safely attached to you, perfect for staying away at locations that don’t have a secure pet safe area to exercise. The familiarity of your pet’s own bed will help them settle in a strange place – and remember that most hotels prefer that he doesn’t share yours! Great&Small have a fabulous range of beds that you could treat your pet to before you book your holiday so they can be both comfy and stylish when they travel. If they also have a favourite blanket or throw they often rest on at home, it’s also worth taking this with your too. 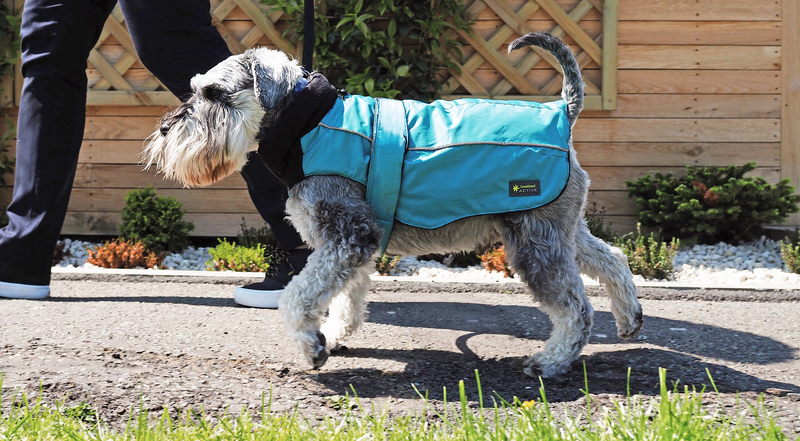 If the weather is rainy, having a lightweight jacket which you can pop on your pet will mean you don’t have quite such a wet and soggy pet when getting back from exploring your holiday location. 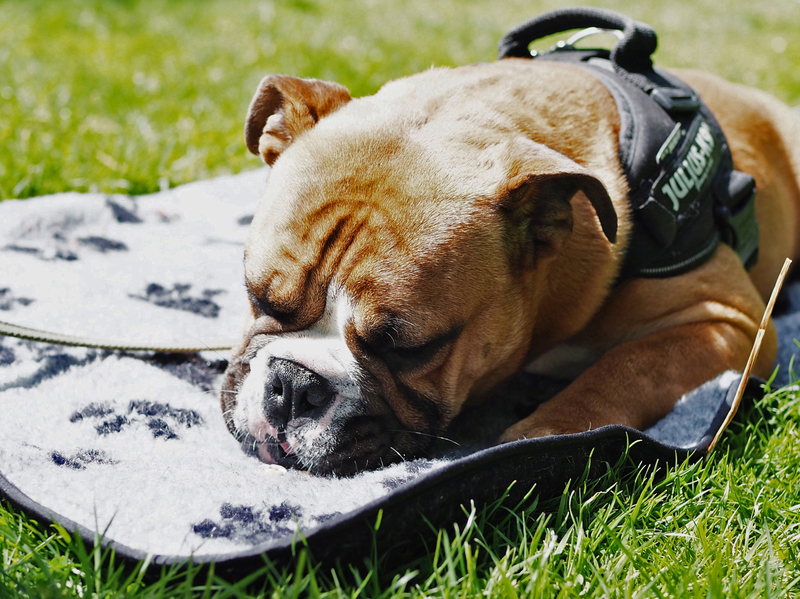 Pack plenty, so you can dry off any wet, muddy coats and paws before taking your pet indoors we love the Great&Small Microfibre Towel it does just the job at soaking up muddy water and are perfect for drying paws. Take enough for the whole of your stay, as you may not be able to buy any further supplies of your dog’s usual food. Or check out where your nearest pet shop will be while you are away and that they stock your pets normal food, fine your nearest store here. Sudden changes in diet can cause tummy upsets – the last thing you want on holiday! Just like their food and bed, you want to ensure they have their normal everyday bowls to feed and drink from, to help them feel even more at home. If you dog is a messy eater, also take a plastic pet place mat. 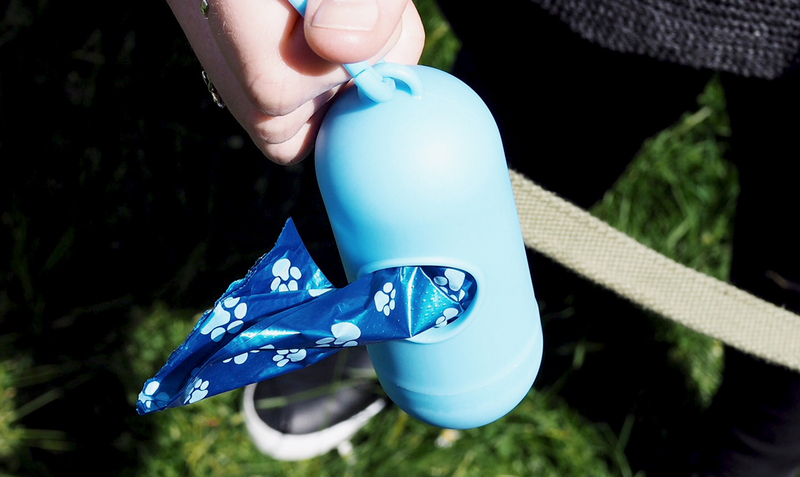 Handy for keeping in the car and to give to your dog at rest stops whilst you are travelling, like the Great&Small Travel Bowl. Packing and carrying with you at all time a water container or drinker for your pet with fresh drinking water will ensure they have a safe drink while out exploring, the H204K9 is a favourite of ours. Don’t let them drink from puddles, ponds, or streams as they could be contaminated. Take plenty and always have them to hand as you will need them all day every day whilst out and about just in case. There is no such thing as too many poo bags! If you pet has a passion for a gnaw and loves to chew, being in new places can bring on the temptation to chew new things! Make sure you stock up on the essential chews that they enjoy the most before you travel . Just like humans, our furry companions can feel anxious when staying in a new place or get travel sick. Make sure you prepare for this as a possibility. If your pet is undergoing treatment and travel Is unavoidable, be sure to pack enough medication for the duration of your stay. It’s also worth considering first aid treatments, for any little emergencies. 14. And anything else they may need or LOVE whilst away on their holidays – perhaps you are heading to the sea side and a floating toy will keep them occupied whilst the sandcastles are being built on the beach? 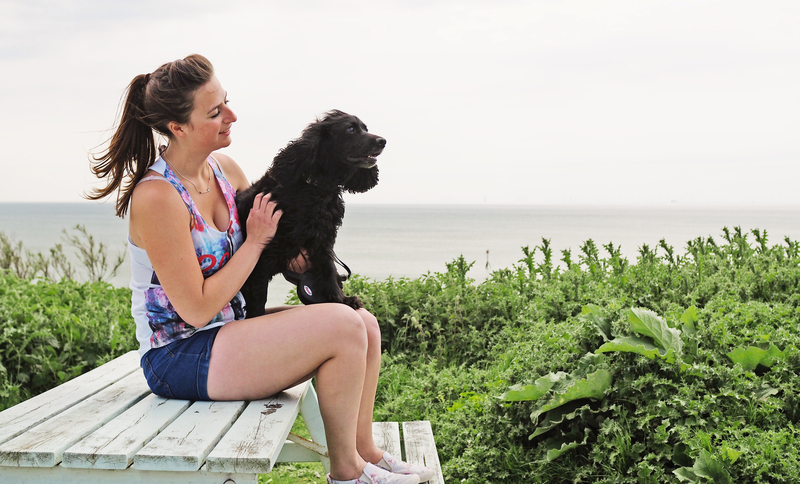 Taking your furry family member on holiday is an amazing experience for all involved. Heed our advice, plan ahead, and ensure both you and your pet are prepared to travel and holiday together.